Coverage: Live coverage of the second session each day on BBC Two, Red Button, Radio 5 live sports extra, online and the BBC Sport app. Sign up to My Sport to follow swimming news and reports on the BBC app. Competing in front of an expectant home crowd at the European Championships will help Adam Peaty cope with the pressure of being an Olympic medal favourite, says Rebecca Adlington. Adlington, the retired two-time Olympic champion, feels the Europeans, which start in London on Monday, will provide the perfect build-up to Rio. The 21-year-old from Derby won three world titles in 2015. "He's the hot favourite who everyone wants to beat," said Adlington. "At the Europeans everyone will be looking at him and hopefully facing up to all of that pressure and experiencing the atmosphere will make the Olympics a little easier." Peaty's early-season form has been impressive. His 100m breaststroke victory at the British Olympic trials last month saw him climb to the top of the world rankings in the event. 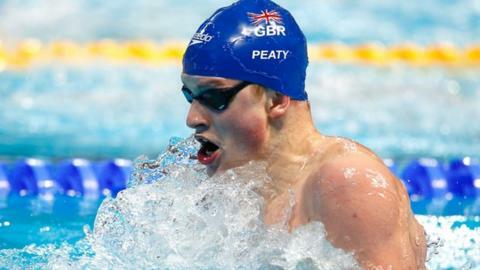 Peaty was among a 26-strong squad named for this summer's Games who will also compete as a squad together for the London Europeans. "The strength in depth in a great thing for British Swimming because everyone is really pushing each other on," Adlington told BBC Sport. "Traditionally GB swimmers haven't been able to swim fast in the heats and then again in the finals as we lacked the depth and didn't need to do that at trials. "We were being caught out at big events, but now we're starting to see that consistency. "Adam does it all the time - he's a born racer - but there are others too and that's great for Britain's prospects at the Europeans and Olympics." While British men - Peaty, James Guy and the 4x200m freestyle relay team - stole the headlines with World gold medals in 2015, Adlington feels the GB women can make a major impact in 2016 too. "Fran Halsall and Hannah Miley have so much experience but I think both Jazz Carlin and Siobhan-Marie O'Connor have great chances too," she said. 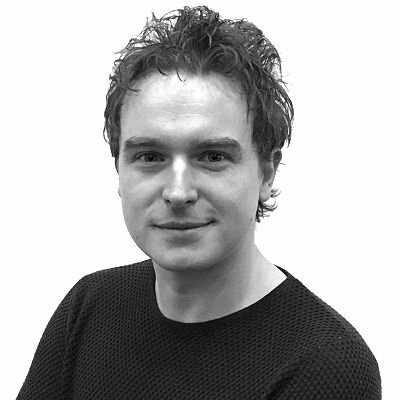 "Jazz has had illnesses but is really coming into her own, whilst I think Siobhan is at the right age to push forward and get to the stage Adam [Peaty] is at. "They have done it at the Worlds [with bronze medals each] and now they will want to make their mark at the Europeans and Olympics."